One of the parts of my hobby - railfanning - is the ever-present, ever-illusive chase. Where you're going after a train (preferably steam), which manages to get ahead of you because you stop for a photo. 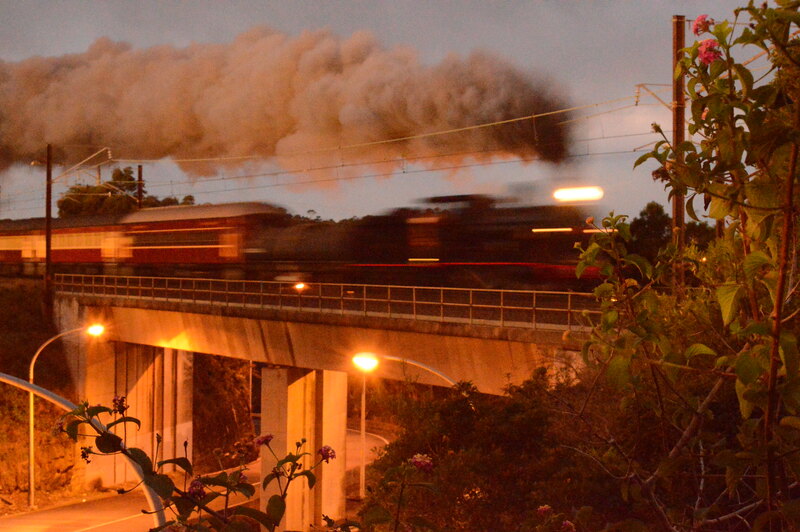 In our first image, we see 3237 on Cowan Bridge, NSW, coming back from it's trip to Gosford. I managed to achieve this shot by using the wall of the bridge next to it (a road-bridge) as a tripod. 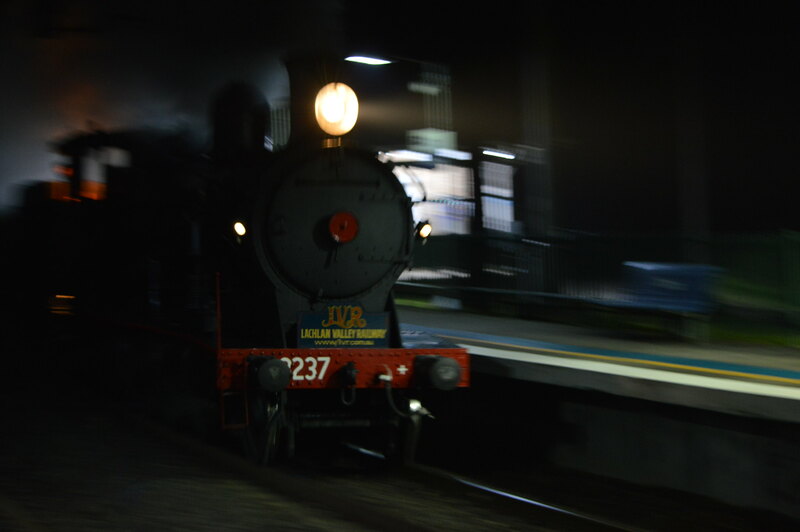 and in our second image, the next weekend, we have 3237 returning from it's day-trip to Nowra, NSW. This shot was the last shot of the day, and I thought I had busted it until I checked it on a computer. Wow! :O Both are such stunning photographs. I particularly like the first, for me it seems to show the true power of the machine, and captures (in some sense) the spirit of the train. Like Katos said, those are beautiful photographs.